How life brings us to the depressed state we are in, amuses even the hardest of sceptics. Here is my parable. Dad and I were never the best of friends, hell we even tried to kill each other a time or two. But I know that he had love for me, how do I know this? Well he let me go to the Metallica concert after I got busted with the pot at school. Memories leave us when we lest expect it. 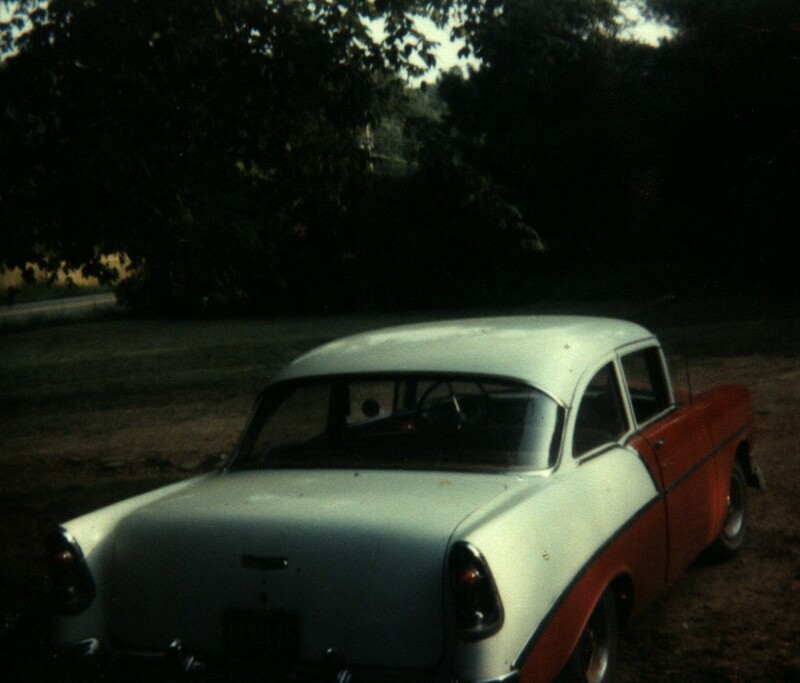 I got out this old picture of the 1956 chevy, and I remember how I hated to help you in your garage. But I remember when we would drive to Poplar Bluff and you blasting Born on the Bayou full blast. Damn I wish I could talk to you dad, but this tombstone has to work.